When your day is already busy but you know it’s time to head to the store, Safeway grocery delivery can come to your rescue. Shop online easily and quickly receive just what you need direct to your door! Signing up for Safeway grocery delivery is easy. You can register quickly online using your email address and existing Safeway Loyalty Card. As a loyalty card member, your past in-store purchases will be displayed at the top of screen, allowing you to easily access frequently purchased items and add them directly to your cart. Not sure what you need? You can virtually browse the aisles and select from hundreds of products at the exact same prices (or even less) than you’d find in-store. 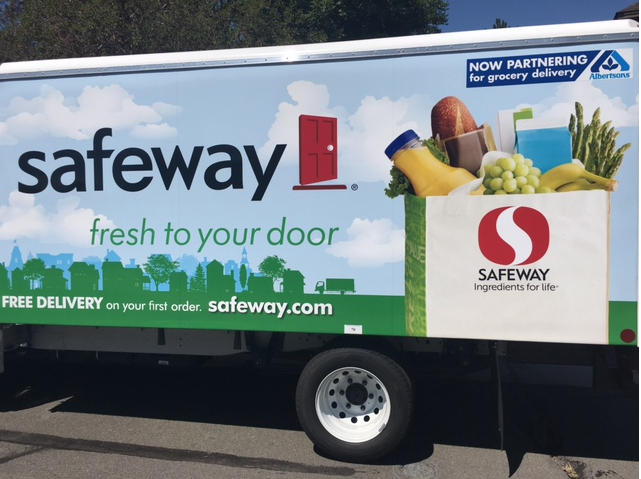 From diapers to flowers to your favorite brand of yogurt, online shopping with Safeway grocery delivery will quickly be your new favorite way to shop! Worried you’ll get stuck in traffic and miss your delivery? You can now select for your bags to be left at your door stop, allowing you to pick up and put groceries away as soon as you arrive home. Groceries must be brought into the house within 1 hour from the time of delivery to prevent any perishable items from going bad. How does Safeway Grocery Delivery work? You have 2 choices for ordering groceries from Safeway.com. You can create an online account at Safeway.com and place your order online, or you can download the Safeway grocery delivery app through your Just for U account and place your order using your mobile phone. Once you finish placing your order, you can select your delivery window. Choose from one-hour, two-hour or four-hour delivery windows. The rate for grocery delivery after your first order will vary based on mileage traveled and order size, and the average range will be between $7 – $17 per order. New in Colorado – you can also choose Safeway Drive up and Go Service, where you place your order online and you drive up to the store and a Safeway team member puts the groceries in your car, for free! The pricing for groceries is the same as in-store prices for club specials (sale prices), however anything is not a club price appears to be a bit higher. But, you can take advantage of Safeway Just for U Digital Coupons and personalized prices as long as those digital offers have been added to your account before you place your order. 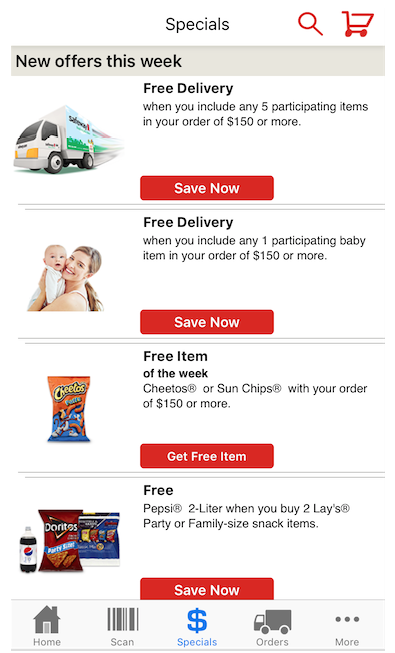 Unfortunately you cannot use paper coupons with grocery delivery, however there are a ton of online promotions and special delivery only offers built in to the grocery delivery service, so there are plenty of savings opportunities available to maximize your grocery delivery and take advantage of the convenience! Pay attention to promotions and coupon codes as you shop. Some items may have additional discounts or free offers which require entering a coupon code at the end of the transaction. Choose Eco Friendly Routing Options to pick up additional discounts off. Eco friendly routes allow the delivery driver to stop at your house during the most fuel efficient manner, batching your delivery with others in the same area. Meet the order minimums and waive delivery fees! 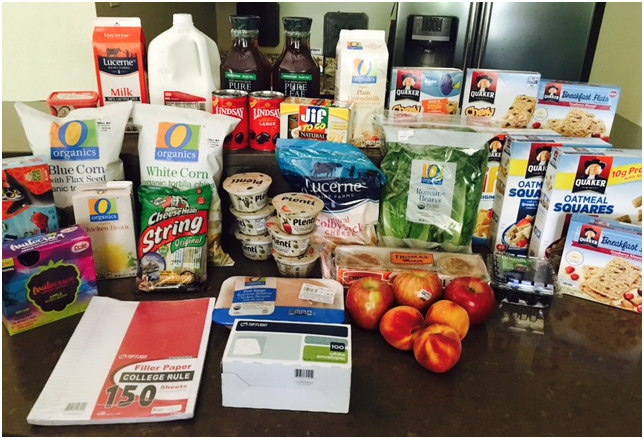 You can even plan for Same-Day Safeway Grocery Delivery and receive your items just in time for dinner! If you are looking for drop off before 4 pm, orders must be placed before 3 am on the day of the delivery. If you’d prefer drop off from 4 pm – 10 pm, book your grocery delivery order before 8:30 am. Try it out by placing your order on Safeway.com, and take advantage of the FREE delivery when you enter EASY7 at checkout with a $49 min order and get the $15 off promotion by entering the promo code SAVE on your first order checkout. Be sure to schedule in a time window where you have some flexibility in case the driver is late. They will call you if that happens, but since this is new, patience is key.